After the Newtown school shooting, commentators on the Left expressed outrage that gun-rights groups were exploiting the attack to build membership in the wake of all the liberal demands for a federal crackdown on gun owners. Nine months later, they’re curiously silent as Rupert Murdoch’s cable network FX milks a fictional Catholic school shooting for commercial gain. The September 10 premiere of the violent motorcycle-gang drama "Sons of Anarchy" featured the school shooting, as well as two rapes and a man drowning in a bathtub of urine.Then the show’s creator Kurt Sutter made a complete fool of himself, claiming "We didn’t do it for shock." Clearly, this man thinks everyone he meets is an idiot, or a mouth-breathing fan of the show, or both. Sutter touted that the ratings were epic – 5.9 million viewers, and 8 million once "encore episodes" were counted. That’s a record for his show, if not exactly the record numbers recently scored by A&E’s "Duck Dynasty." Sutter thought the evil, stupid people in this controversy were those who objected to this "entertaining" tub of urine and the blood of children. In a podcast, Sutter attacked the watchdogs at the Parents Television Council. "I would imagine these are not evil people," Sutter said with what appears to be great charity. "But they are just not very intuitive or intelligent individuals. It’s such a small and simple view of process. The fact that people want to be monitoring what my children watch is terrifying. There is no awareness of what is the bigger objective of that episode is, the bigger point of the narrative." Sutter wants people to believe that the larger plot point was how the biker gang in this series is going to (slowly, over many episodes) reap the consequences of their gun-running. But we know what the "bigger objective of the episode" is: "Ka-ching." You load as much sensationalistic sludge in your debut episode to build some ratings momentum. The "narrative arc" that follows may try to make some sense of that avalanche, but it doesn’t justify it. When criticized, Hollywood sees the foul threat of censorship, especially if a show’s criticized based on how it might warp a child’s mind. Predictably, Sutter pushed that panic button. "Whenever that stuff crosses the line into censorship, it’s just scary...I’m not a social guru, I’m not a guy with an agenda politically, socially or morally. I’m a f---ing storyteller." Of course he has an agenda. He has no morals and believes that should be accepted. That is his agenda. Sutter’s claims to be devoid of a moral agenda only underline what FX is selling: degrading content on a TV show surrounded by advertisements, and the network and the "creative team" are getting paid millions to offend as aggressively as they can possibly imagine. Like the rest of the Hollywood liberals, Sutter said he wanted to start a debate, but he isn’t really interested. They have nothing to discuss but their own "intelligent and intuitive" work and how outrageously hip they are. Sutter the alleged debate-starter proclaimed he refuses to read reviews or social-media critiques. Back in Newtown, Connecticut, school superintendent John Reed sent an e-mail to parents and staff members prior to the episode being aired on FX to warn that the episode would feature the mass shooting. "While you don't see the visual impact of this, you will hear the shots and cries from the victims," he wrote. So where are the Newtown-exploiting politicians on violent entertainment now? Where is the outrage at FX on behalf of the children watching? Don’t think that a splashy season premiere that draws eight million viewers doesn’t have thousands and thousands of children watching someone their own age blow away his schoolmates. Meanwhile, Michelle Obama preferred to attack the people who promote unhealthy snack food to children. 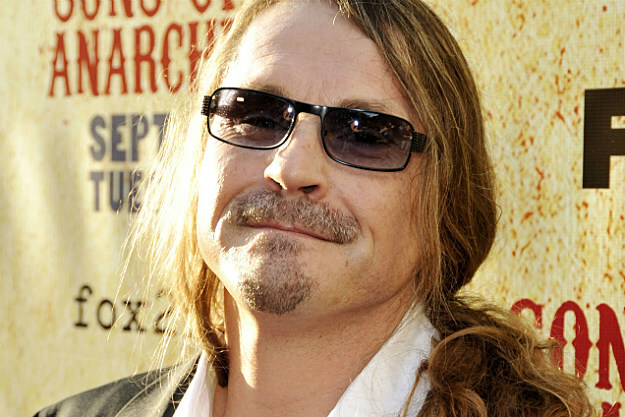 Kurt Sutter is fine, but the marketers of Froot Loops and Twinkies are the Evil Empire. See if her tone doesn’t apply to the marketers of extreme TV violence: "Whatever we all might believe about personal responsibility and self-determination, I think we can all agree that it doesn’t apply to children," the First Lady said. "Through the magic of marketing and advertising you all have the power to shape our kids tastes." Doesn’t anyone in Washington worry about Hollywood shaping children’s tastes with ultraviolent television, movies, music, and video games? Mrs. Obama ought to broaden her attack to the marketers who are lining up to exploit dramatized school shootings, rapes, and urine drownings. You can’t shame the makers of the video game “Grand Theft Auto V” or the movie “Machete Kills.” But there were also Michelle’s usual marketing targets: Burger King and Taco Bell. This White House hasn’t been a profile of courage for children when it comes to their major donors in Hollywood.